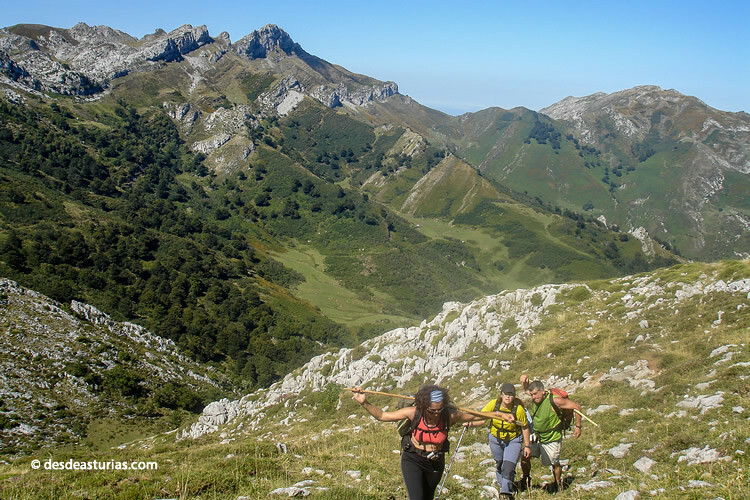 We propose a route to one of the outstanding mountains of Asturias that is outlined, majestically, in one of the most beautiful cordals of the Bay of Biscay. 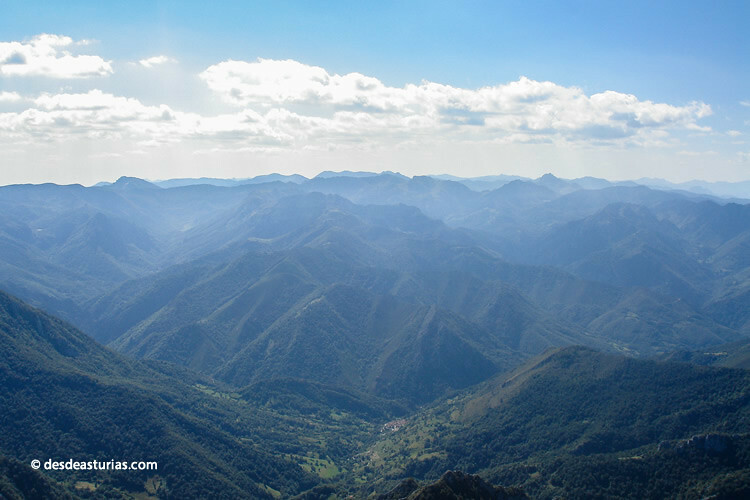 Its summit is a unique watchtower from which we discover an extraordinary panorama. 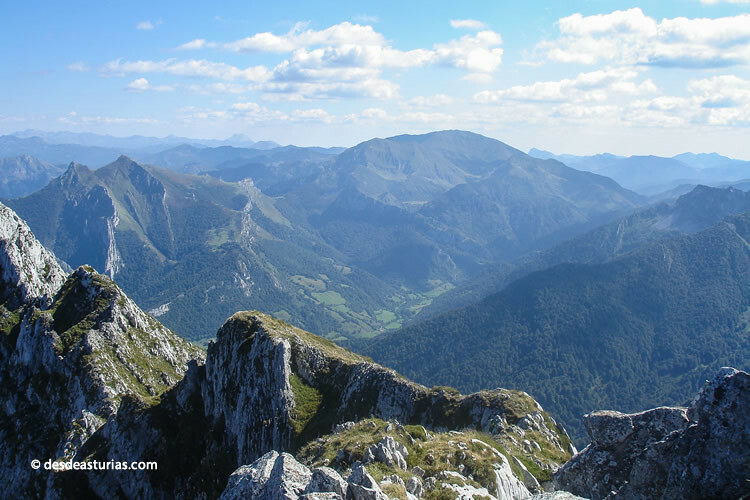 The Tiatordos peak, also known by walkers as the "perfect mountain", is the most emblematic elevation of the mountainous system of the Cordal de Ponga that divides the councils of Caso and Ponga, in the Redes Natural Park. With a height of 1.951metros, it proposes a unique route. We must overcome for it a considerable difference, of some 1.300 meters, along some 6 kilometers of walk one way and others 6 of return. It is a demanding route that requires a good physical shape and that It is not suitable for children. We must do it in good weather and on a clear day. We will take a few 8 hours to complete it, rest stops included. It is better not to go too loaded, or go full but full of encouragement. The tour will be "perfect" as the nickname of the mountain, since the effort goes together the discovery of imposing beech galleries, wild cherry trees, ash, dreamy sheep, crystal clear fountains, narrow foxes and beautiful lapiaces. We ascend through this foz looking for the most appropriate steps. The climb is marked with landmarks painted on the limestone. 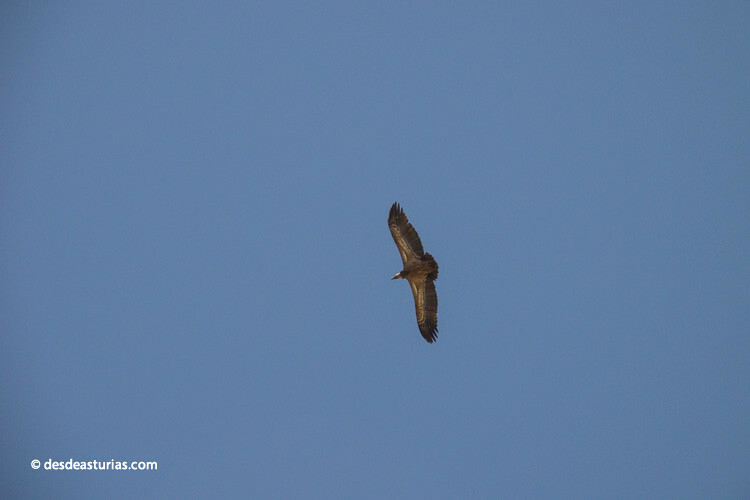 We travel approximately 1 kilometer and we overcome a few 400 meters of unevenness. 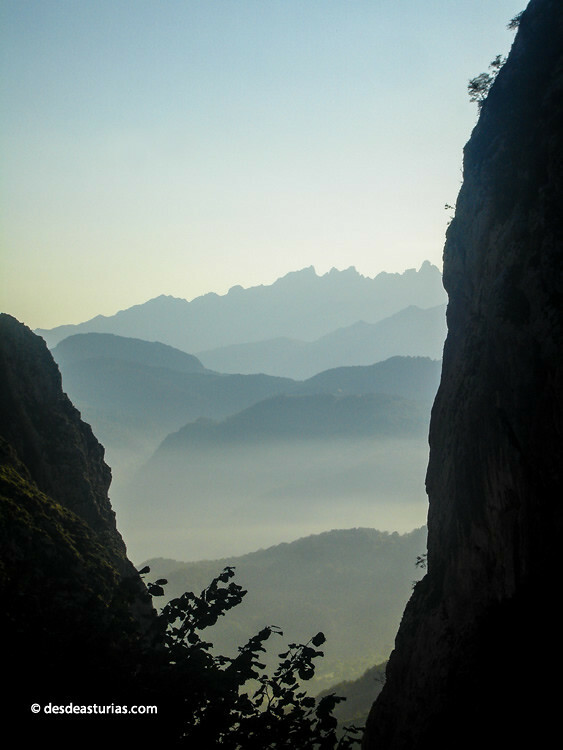 It is a gorge that runs close to the channel of a stream of large limestone rocks, between the vertical walls of the Arcu and Palombar peaks. 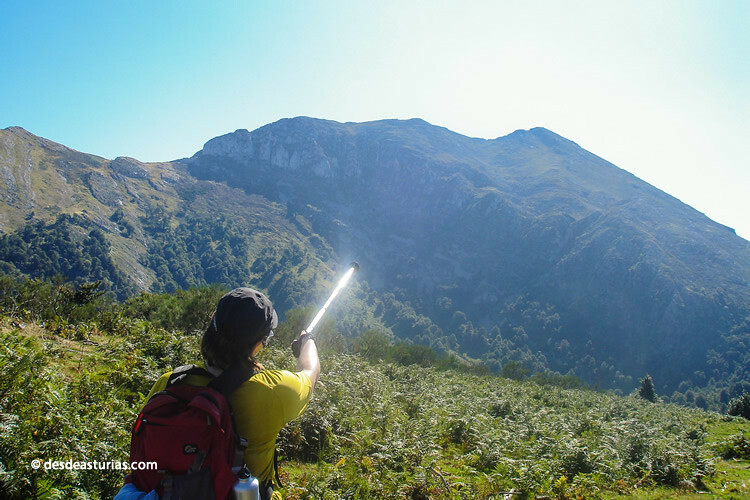 After overcoming this narrow passage (in which we have spent almost an hour) we enter a small forest that leads us to the Majada de Palombar, where can we refresh in the existing source. We rested a few minutes and we continued walking. From here we already spotted the Tiatordos. 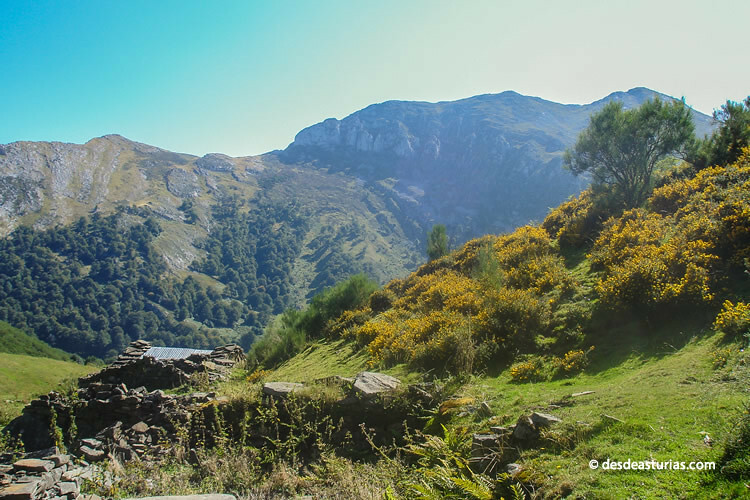 We take the path to the left of the fountain and continue along the track that leads to the Tiatordos sheepfold - unmistakable for its abandoned cabins. We have taken an hour and a half since we left the gorge. After delighting the view in the sheepfold and making a small and necessary rest, we return to the top of the Tiatordos. 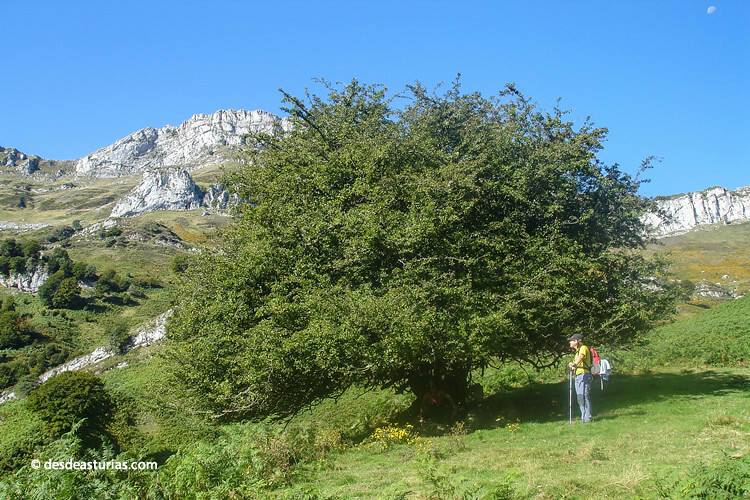 We continue through a beech forest and then climb a few miles to take a marked path that leads between briers to the base of the Tiatordos. There are numerous paths to follow from here, but the most suitable part to the left of our sense of the march and is marked with stone landmarks. The climb will be very hard as we face a steep slope. It will take almost an hour to reach the top and thus overcome the last 350 meters of slope. 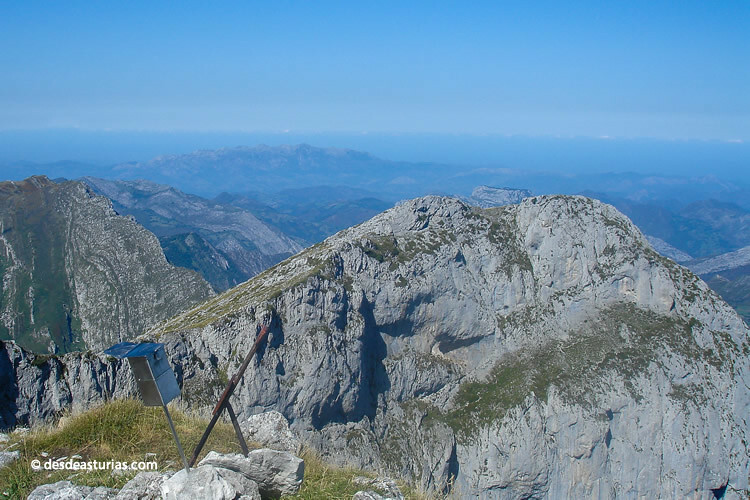 From this summit, queen of the Asturian panoramas, we discovered most of the mountain ranges of the Redes Park, but also others as far away as the Picos de Europa or the Ubiñas, as well as the Nalón river valley or the Ponga valley. We will return the same way. 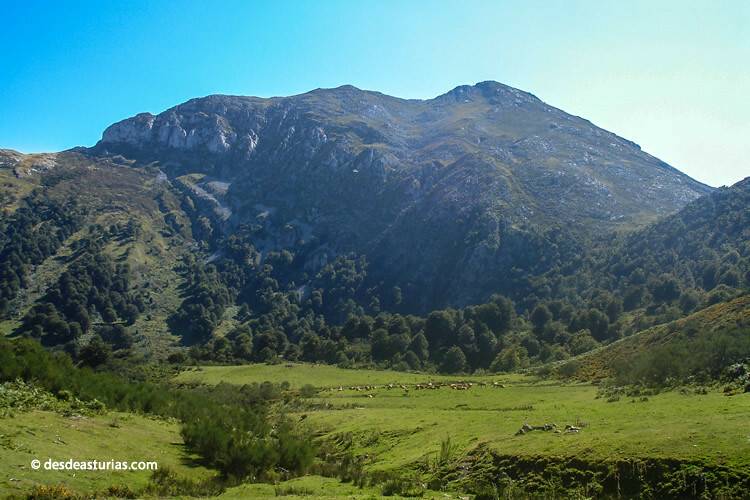 To get to Pendones we take the AS-117 that leaves the center of Asturias and goes through the Nalón basin to the town of Campo Caso, in the Redes Natural Park. At 10 kilometers from Campo Caso, following the AS-117, we will find the crossing to Pendones and we will arrive at the town after about 700 meters. 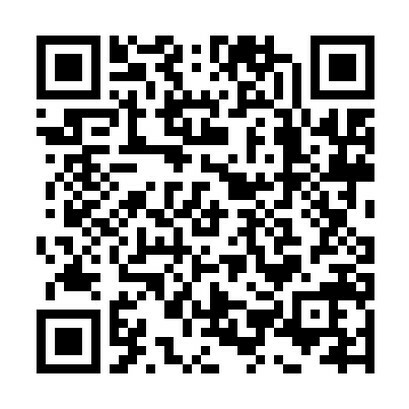 From Oviedo we will take an hour approximately for a total distance of 70 kilometers.